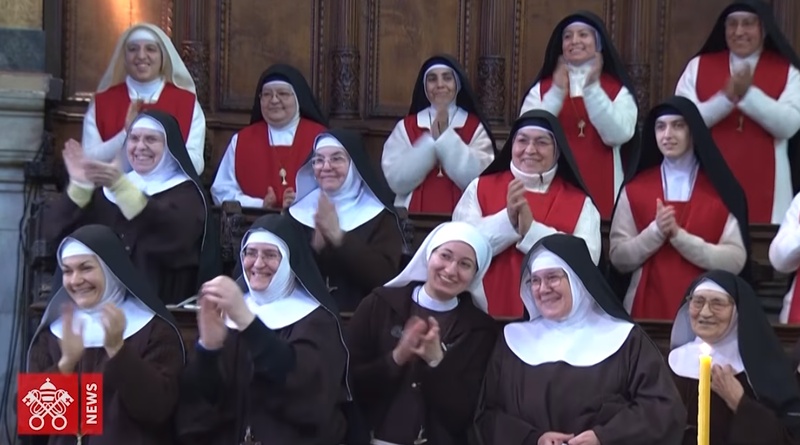 The Vatican on March 8, 2018, released a brief video of words of Pope Francis about women and their importance to the Church and world. Woman is harmony, she is beauty. Without her, the world would not be so beautiful; it would not be harmonious. A world where women are marginalized is a barren world because women not only give life but they also transmit the ability to see beyond, to feel things with a heart more creative, more patient, more tender. I also like to think of the Church not as an “it” but as a “she.”. The Church is a woman, she is mother, and this is beautiful. Women are more courageous than men.